Sonny Boy came home for his Spring Break from college about a week or so ago. Now, when he moved out a couple of years ago, Evan moved into his old room and the smaller room became the guest room. It was somewhat painful for this mama to make this transition, but Evan deserved the bigger room and after I got going on the guest room, I realized I could girly it up a little and had a good time with it. Now for many complicated reasons, this room is also the site of the Cat Food Distribution. The cats jump up on the desk and chow down on an at least-twice-daily basis. Unfortunately, this means that the room has a constant not-so-faint smell of dry cat food and the aroma of half-eaten Marinated Beef Feast in Gravy courtesy of Fancy Feast. We've never had a real guest stay in the room, and Sonny Boy manages to tolerate the smell fairly well. (Amazing since he is a vegan.) The 6:00am rattling of the cans and the meowing cats is a little tough on him though. Recently our very old, but beloved dog, Maddie, was put on some medication that made her lose control of her bladder for a couple of weeks. For some reason, it happened in the guest room on a frequent basis. We tried to catch it when it happened, but there were some days when we didn't. In preparation for Sonny Boy's visit home, we took up the area rug that was in the room, which helped tremendously, but dog urine is a tough smell to get out of a carpet. We plan to get new carpets in a year or so, and I have a fairly high tolerance for bad smells, so I didn't get too bent out of shape about this. However, being the good mother that I am, hours before Sonny Boy was due to arrive home, I was in the guest room, cleaning up errant empty cat food cats and using about fifty pounds of baking soda on the carpet to try and get rid of the urine smell. Evan had purchased some really hideous smelling air fresheners--the kind that are shaped like trees. The worst one was "New Car Smell." I put one of those around the lamp pull and one in the window, hoping the overwhelming coating of of hazardous chemicals upon the cardboard tree would mask all the other smells. It was while I was in the room cleaning up, that I heard scratching coming from somewhere. I climbed on the desk by the window and looked at the giant ficus tree outside, wondering if the branches were making the scratching noise. I took a break and, while enjoying my snack of iced tea and potato chips, I heard the scratching again. I sat, chip in midair, as the horrible realization came over me: it was coming from inside the wall. I went over, pounded and heard the creature (I was sure it was a rat) scurry away. When HOB and Evan came home from the movies, I informed them that we had a CODE RED. "A rat!" I announced in a tone of voice keyed precisely to produce swift and immediate action in the males. Instead, they both told me it was just the wind and the tree branches. Sonny Boy arrived home. I welcomed him with open arms and told him about the possible rat in the wall. HOB told him it was my imagination. Welcome Home Sonny Boy. Happy Spring Break. Your parents have had a tense conversation within the first three minutes of your arrival. Now, sweet dreams in the the cat-food, urine-laced, new-car-smell Rat Room! The next morning the college student was up at 7:00. I went out to find him, bleary-eyed on the couch. "The rat is real. The rat is very real," is all he could say. Apparently the rat was a morning rat, and had awakened Sonny Boy around 4:00am. Throughout the week he was here, I hounded Sonny Boy for a daily "Rat Report." I would have preferred a written report in the form resembling a seismograph noting the movement and the intensity of movement on a minute by minute basis, but all I got was a verbal report, and then only a sentence or two. He noted the scratching was still there, but becoming less frequent. I sent HOB up to the attic to check on the traps. He called it his "Snap, Crackle, Pop" report. Alas, no action in the traps. By the end of Sonny Boy's visit he reported very faint movement. 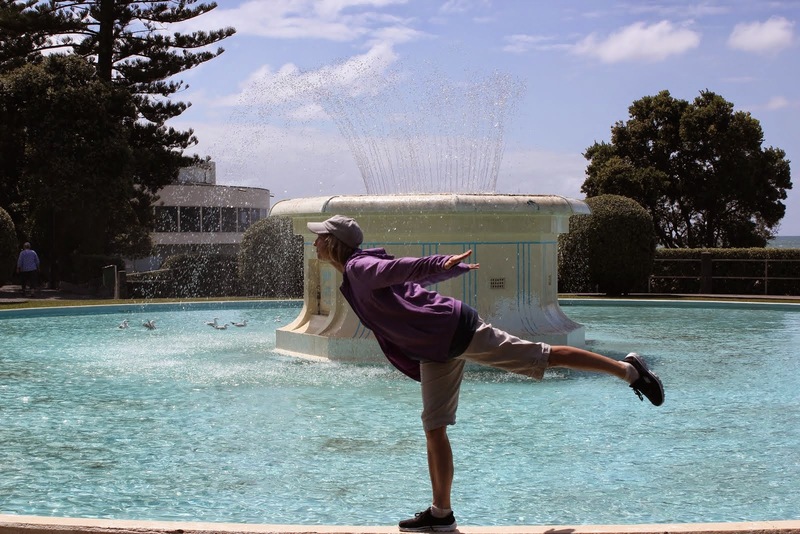 Oh, and surprisingly Sonny Boy announced that he plans to stay near his college this summer and won't be coming home to stay. Hummmm..... Wonder why not? We'll miss him, but, hey, that frees up the guest room! Who wants to be Betty's Next Guest? 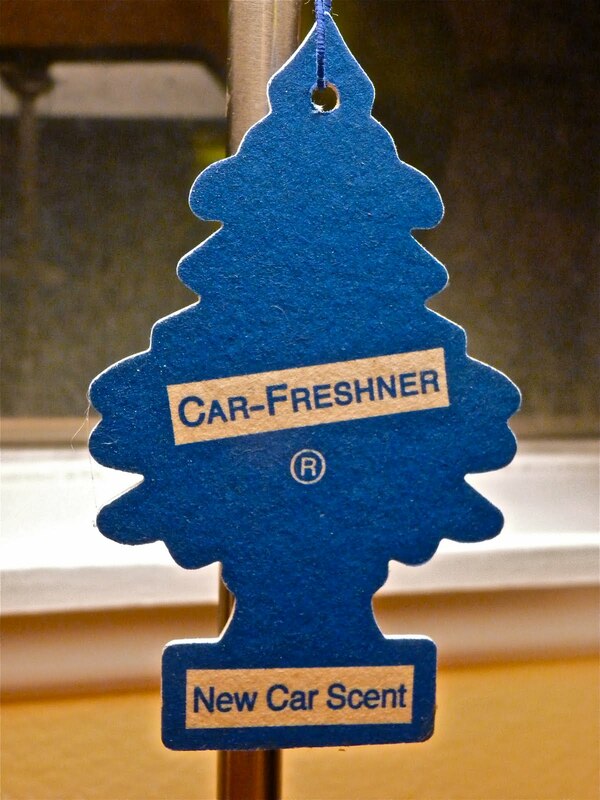 If new cars really smelled the way that air freshener does, nobody would be buying new cars. I hope Mr Rat does not just die in the walls somewhere, or you will have another aroma to add to the mix. Betty I can see you totally understand Madi....she would probably like you to adopt her...HA!! i know how it is to not really use the "Extra" bedroom. how often do you really have guests anyway, right? sooo, i shoved both kids into one room, where only their beds and clothing would be (and because i didn't have the heart to decide which one was going to be closer to us and our room and which one would be in the cold, uncarpeted room with the slider door, which in that case, a robber could totally break in and kidnap them).... i couldn't decide who to sacrifice, so they both share the room with the carpet. the third or extra bedroom is supposed to be the "playroom/office/reading area/guest room/scrapbooking area." seriously? I LOVE THIS!! It is so funny and I can just picture it perfectly. Thanks so much, you made me smile today and I was laughing out loud too. It's great! new car smell...that one always cracked me up! I don't get it, how could you possibly have a rat around with a cat? People in NYC would "borrow" cats to rid their apartments of mice. We actually developed a problem in our old apartment with a mouse that ate through a huge bag of Iams and I wondered how the cat didn't notice this intruder? I don't know about coming to stay in the guest room but I will definitely follow your blog! Thanks for the morning humor! I can't stand rats. I stayed at my Uncle's home out in the country for awhile and the place was full of them. Everything in the pantries were ripped up and eaten. Horrible mess. I can handle all kinds of snakes and spiders, but rats...Ewwww. They just creep me out to no end. The dog urine thing is killing me right now. 2 potty training puppies who squat when we're not looking, makes me feel like the whole house smells like dog pee. I spend my days, sniffing and spraying. If you come across any solutions, let me know. Oh man! I was reading the beginning of this and thinking, "Well it's still gotta be better than that decaying rat her previous guests enjoyed." And now that I've finished reading, I'll add, "... at least for now." Just so you know, "Packyl" isn't even going to make it to the long list, let alone the short list of name choices. Ι'm still laughing out loud! I wonder if you could market that scent. You never know there could be someone out there that would go for it. I can't imagine why your son wouldn't want to spend the summer with you. Hi Betty, Rebecca and I have been chasing live mice that Bobby has brought in. We'd love to stay with you since the rat is in the wall and not on the carpet right next us. When can we come? Thanks, but I'll pass. :) The urine/new car smell did me in. The rat was just icing on totally-not-palatable cake. I love your blog name - my family would love to name me Bossy Barb. As I am bossy as well. Your post was so funny. I cracked up. Aren't those tree things awful smelling. I've smelled better - like the expensive Yankee candle ones. Sonny Boy may have wised up this trip home and decided mom's place wasn't all it was cracked up to be. Too bad I didn't think of that when my girls were moving in and out. Finally they're all out and I sealed off the guest room!!! I can sympathize on the dog urine smell. We have a tiny dog and he pees all over my carpet in the basement. It's just beginning to have a smell... blah! I hope the rat is dead, dead, dead! Yikes, that would totally freak me out!!! Eek! Hope the rat really is on its way to rat heaven. You know...your rat is your white whale. If you do find the rat will bury, burn or flush it? I'm crying! We had a squirrel and then some pre-historic looking velocaraptor bird under our stairs. You have a vegan son!?! Love the baking soda part - truly, all the uses never end. Aw, poor rattie! We have two pet rats; Rosie and Stella. They are very active in the early AM. I often get up with insomnia to come out to the living room, where their cage is kept, and there they are - one is climbing up the cage wall and the other is running a marathon on the wheel. I wonder how you can get the animal out without having to cut into the drywall? When I was a kid we stayed sometimes at my aunt and uncle's and I heard mice in the walls - for some reason this did not bother me although I was a very anxious kid. The exception that proves the rule, maybe. This would send me right into the stratosphere all right. We are battling ants and that is bad enough, but this tops a few ants any day. Hope all is resolved very soon!